Hi listeners of the World of English podcast, it is our ninth meeting, ninth episode and the time has come to talk about business. A little bit at least. To be precise, what we’ll be talking about today is how to deal with a foreign client. There is this conviction that a foreign client is good or better. I don’t know whether that is so or not. But what I know is that foreign clients bring in this novelty into the company, they bring in new challenges and it is very good for a company to attract and to win foreign clients because definitely it means that the company is developing, is growing, and this is what every entrepreneur would like to see for their own companies. Of course, the things that we’ll be dealing with today, they are connected with the language, with English because many people speak the language but for some reasons, and we’re going to discuss them today, for some reasons when they are faced with a foreign client, they cannot show what they know. They cannot shine through and definitely they’ve got this problem how to convince a foreign client to choose their company or their services. What we’re going to talk about is the typical problem or problems that there are, that I have observed when working with different companies. We are going to discuss common mistakes, linguistic common mistakes. I’ll also try and give you some tips how to avoid them. There will be some tips how to stop copying phrases straight from the Polish language. There will be introduced some proper phrases, which perhaps will help you to win the client or to survive. And we are also going to talk about pronunciation. You know me. I have repeated the word on many occasions. I mean I have repeated how important it is to present the language in the proper way and to use proper pronunciation, to know how to pronounce the words in a proper way. But as I said, we’ll start with the very beginning and I mean we’ll start with the typical problems. So, my experience tells me that the greatest problem that people face or the greatest problem that people have is this feeling of being afraid of speaking or how to talk to other people, especially when this is a foreign client, so it is not the chit-chat, it is not just some random discussion over lunch but it is some serious discussion which may or may not result in winning a contract. And my experience tells me that most people are afraid because they don’t believe in their skills. So, a great number of entrepreneurs who run their own companies, they have learnt the language for at least a few years. So they know basic structures. They know basic expressions, they know grammar, but when it comes to speaking, they feel that they are unable to to do it. So, my advice is please believe in your skills, really, don’t get scared and what I also know or what I also have observed is that when there are those two people who want to enter a conversation in English, believe me, what they want to do is they want to be successful, like both of them, and even if you make a slight mistake, a little mistake, it is not the end of the world because nobody’s going to judge you on your speaking skills, rather, you will be judged on how good you are in negotiating, how good you are in presenting your offer, how good you are as an entrepreneur. Of course, when there is money on the table, if your language is better, the chances are, you stand a greater chance that you will win the contract and you will win the client. This is obvious. So, what we’re going to do here or what my advice is that you have to try and learn the language and try and work on it and try to produce as good a language as it is only possible. So, the problem of not believing in your skills results in stuttering. People stutter when they repeat the same words or when they are actually unable to say proper words because they are so afraid, you also start to shake, that also leaves a very bad impression and what is even worse, and that can happen, you forget like completely what you want to say or what you have learnt so far. Please don’t do it and please just tell the client what you tell them and probably you will be alright. But when we come back to this great client, when we come back to this money on the table, as I introduce the phrase, when there is money on the table, you need to impress this client with a good command of English, and this good command of English means that you have good knowledge of the language, and if you can impress the client with a good command of English, the chances are that you will win the contract. So let’s say, right, that there is this foreign client who knocks the door of your office or who sent you an email or who calls you and they want to start this cooperation, they are interested in your offer and they are interested in your company. Let’s discuss now the most common mistakes, so the things you cannot do if you want to make this great impression. So first of all, what I’ve noticed, what I have seen on many occasions is adding the „a” or „an” in front of many words and it is not treated as some grammar aspect but it is treated as a breathing space. That is very interesting. But you have to remember that the article „a” or „an” has a very special place in English. It has a very special place in the sentence and it is alright to use it in front of a noun that is countable. So, there can be a deal or a contract, or an office but with plural nouns that is absolutely not acceptable and I’ve heard that, I know that people use it, but they don’t use it because they think about it and because it is very conscious, but they think that this is some breathing space. It is not a breathing space. Please remember about this so you cannot put „a” or „an” just anywhere, anywhere you want, anywhere you wish, that is a mistake. The easiest way to remember what „a” means, is that „a” means one. And for this reason we can say, right, a company car which means one company car, a mobile phone which means one mobile phone, we can say a contract which means one contract but if there are more items than just one you can’t use „a” because that would mean that you say one and then you add a plural noun. That is not correct. Another problem, a huge problem in my opinion, is the tense Present Perfect. And this tense presents a lot of problems because we cannot somehow relate this tense to what we’ve got in Polish. So, it is relatively easy to understand present tenses because we also use present tenses. It is relatively easy to use the past tenses because there is a past in Polish, in the Polish language. We know how to work with future tenses because we know how to talk about future in Polish. Of course what I’m talking about here is when people learnt the tenses or the language basing on Polish structures or trying to understand it through Polish structures. I’ll refer to it later on, in my opinion this is not the best solution because if you keep on basing the foreign language, and of course what I’m talking about here is English, but there are obviously other languages people learn and you cannot do it actually with foreign languages because the sooner you sort of escape from your own mother tongue, the better it will be for you. 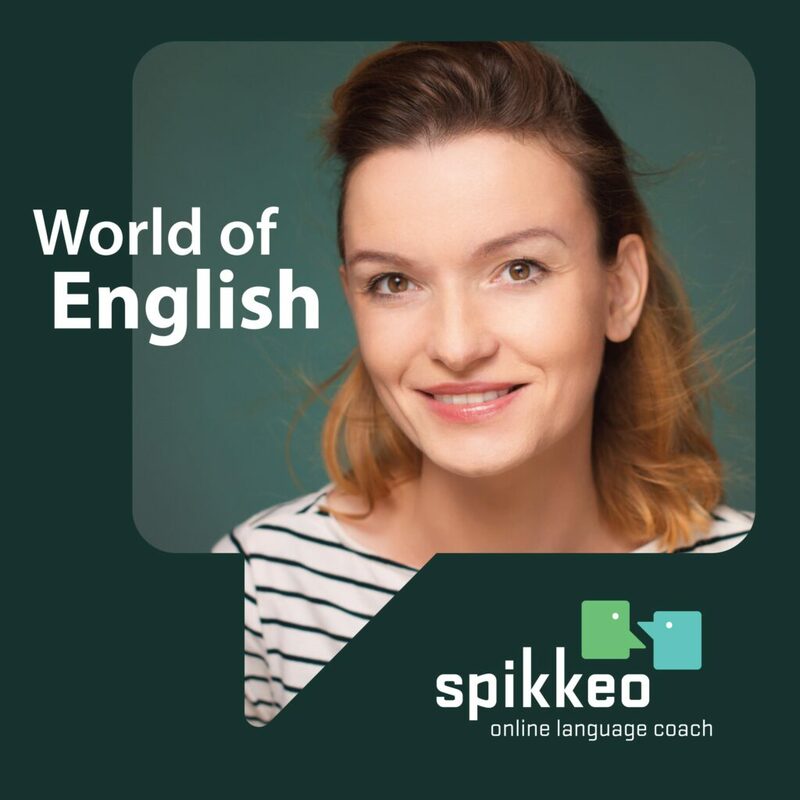 But of course when you start there is no other foundation you can base your language on, so as I said, the present, the past, the future, it’s easy to understand but with Present Perfect there is no immediate relation between the Polish language and the English language. So, that is why many people have problems here. There are different schools. Some people say that Present Perfect is a past tense, some people say that Present Perfect is a present tense. Well, I’m looking at the very name of it. If it says „present” definitely it is connected with the present and it connects the past, that’s true, but with the present. And the mistakes, of course, I’m not going to repeat them because I don’t want you to remember them but the mistakes that people make is that they use Present Simple instead of Present Perfect Simple or Present Perfect Continuous and the proper question would be how long have you been operating on the market? So, this is the question you can hear from the client or this is the question you can ask. How long have you been operating on the market or how long have you known Mr Smith?, let’s say, if this is a business partner. So, this is the context, this is exactly when you need to use Present Perfect and not Present Simple. And here the advice is also very simple. There is a very simple thing you have to remember and if you know it, you’ll never make these mistakes again because when there is this question „when”, when there is a word which appears in the question or in the sentence „when”, the chances are that what you need to produce is a sentence in the Past Simple Tense because when you ask the question „when”, the answer that you will get is you will get some date, and when there is a date Past Simple always wins. So you can say, like, we started operating in 2007 and when you get this very date, this very specific information when something happened, you will need Past Simple. Another thing would refer to Present Perfect because, well, with Present Perfect or with Present Perfect Continuous, of course, there can be dates but the dates can be only as some marking points, right. So, you talk about since when you’ve been on the market or for how long you’ve been on the market, so the phrase, the useful phrase here would be, like, we’ve been on the market since 2010 or we’ve been on the market for the last seven years and this is fine. So, let me repeat and please remember when there is a date which says when something happened that is past, Past Simple possibly, but when there is this date which says since when something has been going on you need Present Perfect. Problem number, let me count, but I guess that will be problem number three, is mixing the singular and plural nouns. A very simple structure like a structure there is and there are. I guess that is introduced, what, I guess that would be like the third lesson of English. And I’ve been working with people who are advanced when it comes to English, who know a lot of expressions, words, who have been learning the language for a long time. But when I introduce this structure, like, there is, there are, and when I ask them about there is, there are, most of them are rather surprised, and most of them don’t recognize it. So, let me state it once again clearly and I hope that the information, the tip, the advice that you’ll get here will be useful for you. Please remember when you want to introduce something like that there is this something that exists in your company or in the world, in the world of business, because today we are referring to the world of business, and it is in the singular form you say there is, right. So, you can refer to the unemployment situation, you can say that there is unemployment in Poland and unemployment is uncountable and there is one such thing. But when you want to introduce items which are plural then you need to say there are, right. There are many problems that we are facing right now. There are a lot of contracts that we are delivering right now. There are a lot of great people working for our company. I know exactly where the mistake comes from because in Polish, and again we are basing our knowledge of English on the Polish language, which is in my opinion a mistake or it is a problem. But if we want to do it, when basing it on the knowledge of Polish, very often we use a singular noun, like there is and then we have these plural nouns, but this is Polish not English. English is very simple here, English very logical here. There is and there you put a singular noun, there are then you put plural nouns. Improper word order, this is something I have also noticed. And this improper word order comes again from thinking in the Polish terms. In Polish we can put these words in different places and the chances are that we will be understood, but that is something that does not happen in English because in English these words have very specific places in a sentence. So, the easiest way and if I say the easiest, please believe me, it does not mean that it is the less, what, intelligent way or the less successful way. That is absolutely not true. But the easiest, the simplest and the most proper way would be to put this person or this item that we’re talking about, then there is this action and then comes something that is that is followed, for instance, I’ve been with the company for the last five years. So, there is I, right, then we have this action, like, I’ve been with the company and then you have the timeframe like for the last five or seven years. Another problem with the word order is the question. So, when you ask these direct questions and you want to ask that client a direct question, well, most people know how to do it yes because they know the structures, they know the tenses. So, if you want to ask a question in Present Simple, like, how do you like Poland?, for instance, because this is their first time or the second time they’ve been to Poland, they know how to do, yes, how do you like Poland? How do you find the country? You can ask a question in the Past Simple, for instance, like, when did you come or how did you or how was your travel? How how did you travel to Warsaw?, let’s say. But the problem is when you are introducing questions that are not direct. So, for instance, there’ll be like a question let me tell you how we deliver our service to the customers and this let me tell you is this introduction, so we’re waiting, so to say, for acceptance that we want to tell this person about something but then when you say, like, how we deliver our service to the customers it is not a question. So, here you need the word order that is typical of sentences and not questions how we deliver our service to the customers. If you want to ask a question like that, then you would need like how do we deliver our service to the customers? but in a sentence when it is this indirect question or indirect sentence you need just a regular word order. So let me repeat that would be the proper sentence let me tell you how we deliver our service to their customers. Another point for us to discuss here would be copying from Polish. I told you there are different schools and I myself am not that sure where I belong to, I mean, obviously, as I said the thing that is very important is to, so to say, try and escape from your mother tongues as soon as possible because when you’re learning a foreign language, when you’re learning English in this respect you’re learning a different structure of the language and the sooner you start thinking in English the better, but then of course when you start what you can do or how you understand the language, it is only based on what you know from your own native language. And of course, for the initial months of learning and for the initial time of understanding the structures Polish is ok, but you have to be very aware and you have to be very careful because you have to escape, so to say, from Polish thinking and Polish expressions. And the expression that is there, that is repeated very often in dealing with customers, clients is contact somebody. Of course, when we call somebody, when we reply to different emails, we answer different letters, emails, we use this expression very often. And of course again, I’m not going to repeat the mistake, but of course in Polish, we use a different expression, right, because there comes this preposition, in English there is no preposition, yes. So, it is contact somebody, so our staff will contact you as soon as possible, for instance, you can produce a sentence like that. Right, so when you know these most common mistakes or the mistakes that I’ve observed, I’ve experienced in business English or in dealing with a foreign customer, I’d like to introduce a few phrases that will help you to survive the conversation if you need the word „to survive” because I’m pretty sure that most people, after some time when they just warm up, they will have this great pleasure derived from talking to a foreign customer. Even more so when at the end you realize that you have managed to convince the customer, you have managed to win the customer, then that would be this fantastic feeling. But of course when there is this customer who comes to your office, there are a couple of stages, there is this introduction, and a little bit of chit-chat, then there is this presentation of the company and then there is this closure, so to say, if there are questions, if there are any more issues to discuss. And the thing that you ask or you offer to your client the first moment, the moment they enter your office is the drink, obviously. It may, the action may belong to you. So, it is you personally, like the owner of the company, who does it but it can also be the action delivered by a secretary. Either way, right, whoever asks the question, which is obviously would you like a cup of tea or coffee?, the simplest, very well functioning, but you have to be prepared for an unexpected or a surprising answer. And once I’ve experienced something like that, so there was a foreign client visiting a company, and of course he, because that was that was a man, he was asked whether he would like to drink a cup of tea or coffee. And yes, he replied. He said yes, with a splash of milk. This is what he added and there was this commotion, there was this surprise in the office because what the people expected was just a simple yes or no, or coffee please or tea please but then the person added with the splash of milk. Of course, everybody understood what the splash of milk was and meant, and please, that’s my other advice, please don’t panic. Very often you will understand what the client said from the context and even if you don’t, you can always ask this person to repeat, excuse me, could you repeat please because I’m not quite following you. That is all right, believe me, that is perfectly alright. With this expression with a splash of milk it turned out that it was so visible, I mean, so memorable that everybody in the office remembered this and there were jokes afterwards would you like some coffee? Yes, with a splash of milk. So this is the introduction, you offer something to drink, then you tell this person, this client to follow you, you show the room, most often it could be the conference room. You ask the person to have a seat and then you start talking. The presentation of the company, of course, in the presentation of the company, you would need a lot of phrases, but basically, you would like to inform the client what you deal with, so, our company deals with online marketing, let’s say, how long you’ve been on the market, so we’ve been on the market since 2010 or we’ve been on the market for the last seven years, then you want to introduce the offer, present the offer to the client, so you can you can just say let me present our offer to you and please be careful with let me, right, the mistake that is often made is this „to” that is added there, there is no „to”, then you promise, because the promise must be there, must come. You promise that you will do your best, your company, you as an interpreter, you will do your best and I don’t know if you know, but there is this more advanced expression of it. You can say we will do our utmost to deliver the best service to you. If there is this need for some references, you can say that you would like to familiarize the client with your references because it works very well in business when there are other people who can confirm your services, who say yes, they are good, yes, you can trust this company. You can repeat the expression of that is needed that you will contact the client via email or via phone or you can send the offer via email, as I said before, you can also ask if there is anything else you can do for this person, for the client and then, of course, it all depends on the conversation, at all depends how it is going but then you can move on to some chit-chat, which is this regular discussion about different things going on in your life, so it’ll not be strictly connected with business, but it can be connected with your family, with your hobbies, with things going on around. The final point that I’d like to discuss today and the final thing I’d like to present to you is the pronunciation. Yes, I have introduced the expression many, many times, but I am this pronunciation freak, believe me. You need to know how to pronounce words. Otherwise, the impression that you want to make will not be as good as it could be. I will introduce just a couple of words that you can use in dealing with a foreign client, in talking to to them. There are, of course, there are many other expressions but what I want to draw your attention to is this being very suspicious. So, please be suspicious when there is a new word, always look it up, look it up in a dictionary and find out how the word is pronounced. Otherwise, you will just be guessing what could be the proper way. Expertise. Expertise means, it is a combination of knowledge and experience and it is very good if people working for your company have expertise, if they have gained expertise, if you have expertise and the proper way to say it is expertise. No other way, just remember that would be expertise. Then, there is a word rapport. Rapport means this good relationship or this good relation and something that you’ve built with your customer. So exactly you build rapport with clients, with customers. Certificate. I wonder how many times you’ve heard a different way of pronouncing the word, with different sounds at the end. Certificate – the proper way. So, like I hold a certificate in English, let’s say, if you want to prove your skills to the client. The very last one, I guess the nicest one is comfortable because we all love comfort and you can also promise this comfort or some comfortable experience to your client but please remember it is comfortable. No other way. I say that there is no „table” in the word. So it is comfortable. Right, I hope you have spent some fine time, and I hope you have learnt, acquired some useful information and the next time the foreign client comes to your company, you’ll be much better prepared.